A. Sheds are popular. I’ve built more sheds than I can remember, and several stand out in my mind. My favorite shed of all time was the L-shaped Queen Anne Victorian one I built at my last house. It matched our home in every detail, including all the colors. My wife loved that shed. It even had a 6-foot wide overhead door so my garden tractor could go in and out with ease. Based on the email that I get, I’d say the biggest mistake you might make when building or buying a pre-built shed is that it’s going to be too small. You may look at an 8-by-10-foot shed thinking it’s enormous, but it’s not. You need to keep in mind that you have to be able to get at things in the shed, so there has to be a clear floor area allowing you to get what you need. If you’re going to use the shed as a hideout from your significant other or the kids, it’s very important that you use some graph paper to create a crude plan. Create scale cutouts of the furniture you’ll have in the shed and make sure it fits. 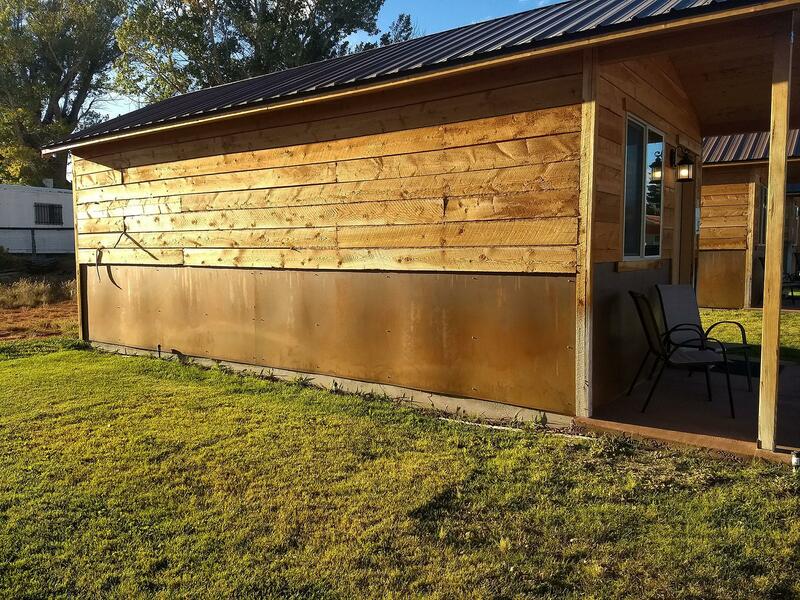 The easiest way to size one of these hideout-sheds is to look at a room in your home that you feel is a perfect size. Make the shed the same size. Before you get too far in the project, be sure you’re allowed to build the shed. You need to check with your local government officials to see if there are any zoning restrictions. The last thing you need is a stop-work notice because you failed to get all the required permits to do the work. You may feel the answer to keeping a shed cool in the heat of summer is just adding more insulation. That’s folly. Insulation gets hot too, and it releases the heat slowly. The best way to keep the shed cool is to build a second roof over the shed. I know this sounds crazy, but it’s true. The upper roof will shade the shed. You know this is the best way as you stand in the shade when possible to lower the heat gain on your body. If you plan to have a wood floor system in your shed, be sure the floor joists and the plywood floor are treated lumber. You may not realize it, but you can purchase plywood that’s been treated with the same chemicals as regular timbers and decking made to resist water. I’ve created a page at my website that has numerous shed planning videos lots of other shed-building tips. Go to: http://go.askthebuilder.com/sheds. A. I tend to think most of what you see on cable TV home improvement shows is fantasy. But in this case, Becky was given a morsel of information about a great product. Pocket doors are alive and well and they’re better than ever. You wouldn’t think it possible to constantly improve these devices that are hundreds of years old, but it’s happening all the time. I’ve installed countless pocket doors on my jobs and had two of them in the last home I built for my family. My daughter is building a new home now, and her home will have at least five pocket doors. I prefer the pocket door hardware that features three-wheeled trolleys. A trolley is what connects to the top of the door and then fits into a special track. These trolleys can’t jump off the track and the nylon rollers with precision ball-bearings will last for generations. You can now get soft-close hardware for pocket doors. This is a popular feature that’s been on drawers for quite some time. There’s no more banging of doors in the pocket or out on the jamb if you equip it with the soft-close accessory. Follow the simple installation instructions and you’ll not have any rubbing. The key is to use thin studs that are capped in steel. This prevents warping. You can also buy an accessory kit that allows you to install thin plywood over the pocket so you can hang heavy pictures right next to the door opening. I’ve got pocket door videos and lots of tips for you on my website: http://go.askthebuilder.com/pocketdoortips.